In general, most currency traders will use either technical or fundamental analysis to inform their trading strategies, with some using a combination of both. Whatever your strategy, though, you have to be aware of how news events can affect the market, and figure this into your strategy. For example, if you had a long position open on a currency pair that, through technical analysis alone, seems odds-on to move upwards, you could be surprised by a sudden downwards move caused by a news event. This risk factor is often termed news or event risk, and even if you are not actively paying attention to the news, you need to at least factor it into your trading strategies so that you don’t get caught out. Naturally, some news events move the markets more than others. Here, we have collected what we consider to be the ten things that tend to move the markets in a profound way, so that you will know to keep an eye out for them, and find out more about them. A change of government can often spark a change in economic and/or monetary policy, and naturally this can have a marked effect on currency values. That’s why election results are so keenly watched by traders, as the release of exit poll and final results can spark major price moves across all the affected currencies. Depending on what is going on at the time, some elections can be more important than others from a forex trading point of view. For example, the elections in Greece, Italy, and Spain during the Eurozone crisis were massive market movers for pairs involving the euro. The currency market is global, and the decisions that most affect it are often made at an international level via summits of groups such as the G8 and the EU. Recently, the EU summits have been the most avidly watched among traders, as the issues at hand – most notably the bailouts of EU countries – have a direct impact on all major currency pairs, and particularly those involving the euro. Meetings of central banks such as the Fed, the Bank of England, and the ECB, are the biggest events in the forex calendar. 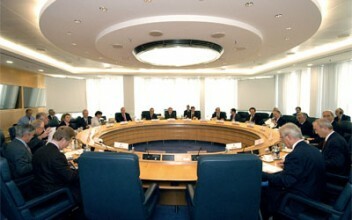 It is here that the central banks agree on policies such as interest rates and money supply. While central banks are rarely totally unpredictable in their actions, and the information they are acting on is usually already in the public domain, they can make very major decisions that affect the currency markets. In recent times, the biggest topic of interest among forex traders is whether the central banks intend to print more money or not, as this has a direct and immediate effect on the value of the currency in question. The release of employment figures such as the U.S. Nonfarm Payroll number are often the biggest market moving events on the forex calendar. This is because employment figures are considered the most reliable indicator of the overall health of an economy – more so than GDP, home starts, interest rates etc – and they serve as both leading and lagging indicators of the performance of an economy. In particular, the U.S. Nonfarm Payroll number tends to cause more movement on the currency market than any other, and many forex traders make a significant chunk of their income just from trading these releases. In a globalised economy, the value of individual currencies is largely dependent on the ratio of exports to imports in the country or region that uses that currency. Any purchase of goods or services from overseas involves a currency exchange, and this affects what is known as the trade balance. The trade balance is a measure of the demand for that country’s goods and services, and ultimately it’s currency as well. If exports are higher than imports, you get a positive balance, and therefore a trade surplus. 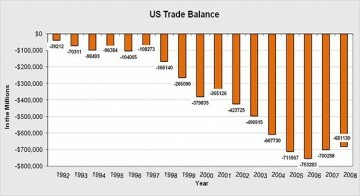 If imports are higher than exports, then you have a trade deficit and the trade balance is negative. Trade deficits tend to push currencies down, whereas trade surpluses tend to push them up. Capital flows are similar to trade balances, except that they concern capital markets investment rather than industrial trade. When a country has a positive capital flow balance, investments coming into the country are greater than investments heading out of the country. When more investments are heading out of the country than into it, you have a negative capital flow balance. A positive capital flow balance makes the currency of that country rise in value compared with others, whereas a negative capital flow balance will cause the currency to fall in value. A strong economy with high interest rates is more attractive to investors, and the capital flow balance is a good barometer of this. The days of the U.S. and Europe as major manufacturing powers are long gone, and today the vast majority of goods are made in Asian countries. Today, the economies of countries such as the U.S. and U.K. are dominated by the service sector, and this is therefore more important to watch than the industrial figures. One of the key reports to look out for is the U.S. ISM Non-Manufacturing report, as a surprise in this can have a marked effect on pairs involving the USD. Although employment figures might be more reliable in terms of describing the fundamental health of an economy, consumer confidence is also a key factor. If people are feeling confident about the economy, they will spend more money, and this will in turn boost the economy. However, if they are feeling less confident in the economy, they will tend to rein in spending and this will act as a drag on the economy. In general, a surprise in a Personal Spending report will tend to spark a move in the currency price of that country. 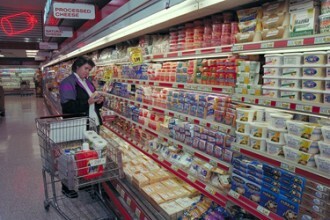 The Consumer Price Index, which measures the price of a basket of commonly-bought goods, is considered the benchmark for inflation by most central banks, and is one of the most important pieces of data in terms of fiscal policy. Therefore, it can be a good predictor of what a central bank might do next in terms of changing the interest rate or the money supply. An inflation surprise can cause a major shift in the direction of a currency price, as traders anticipate what this will mean in terms of central bank policy. Existing home sales figures show how many existing homes have been sold over the past quarter, whereas home starts figures do the same for new-build homes. While these are primarily considered indicators of the health of the real estate market, they are also considered to be some of the best leading indicators for the overall health of an economy. A positive surprise indicates that the economy could soon enter a period of higher growth, sending currency values up, whereas a negative surprise can often signal an oncoming recession and send currency prices down.